Being a teenager is a confusing and exciting time. Our small groups for students are designed to help them sort out who they are and what they believe. Students come together for fellowship, teaching, and worship, and then divide into their small groups for community building, discussion and prayer. Students in 6th - 12th grades are welcome. Senior High Sunday Small Groups meet from 2:00 p.m. - 4:00 p.m. in ‘The Attic’.. Activities include games, worship, and group discussions. Middle School Sunday Small Groups meet from 2:00 p.m. - 4:00 p.m. in ‘The Attic’. Activities include games, worship, and group discussions. 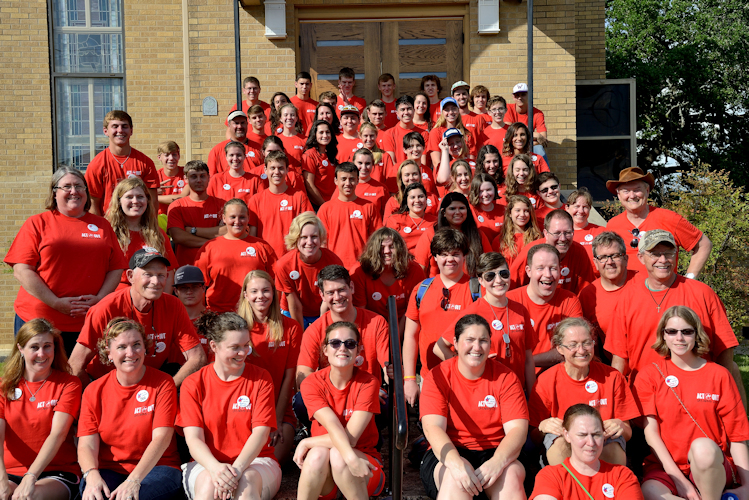 Both Middle School and Senior High Youth Groups participate in mission work during each summer. Each group and their adult sponsors travels to a location within Texas to assist with home repairs and other community needs. Mission activities are often coordinated with UMARMY (United Methodist Action Reach-out Mission by Youth) provides an opportunity for youth and adults to experience Christian growth through service to others. Participants combine their strengths and resources to meet home repair and maintenance needs for low income, elderly and disabled homeowners who are physically or financially unable to make needed repairs themselves.